Blade: High quality chrome-vanadium-molybdenum steel, through hardened, chrome-plated. 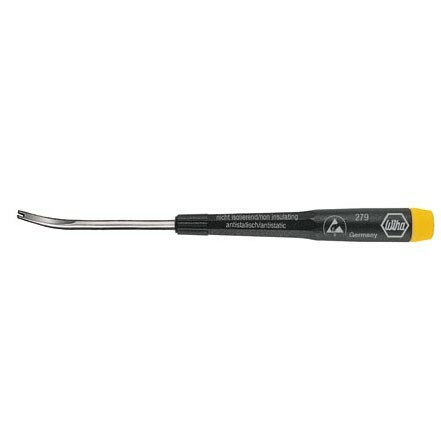 Handle: Precision handle, surface resistance 10^6 - 10^9 ohms. Application: For lifting tight parts on circuit boards.